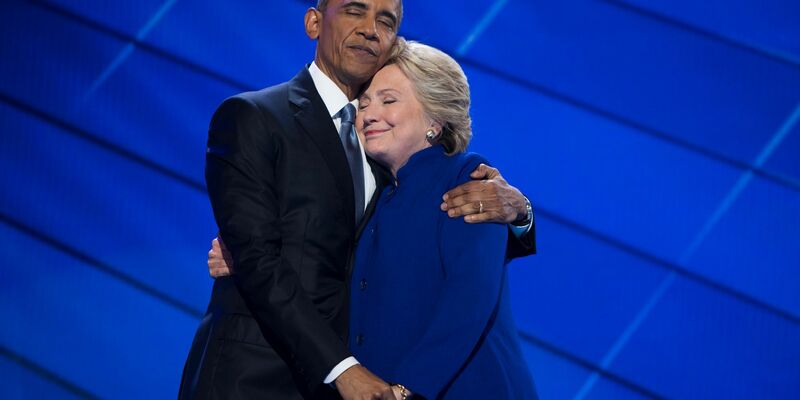 We guess that Hillary isn’t that much of a hugger? Well, that must be the reason why she didn’t want to make close radius physical contact with then republican party nominee Donald Trump. 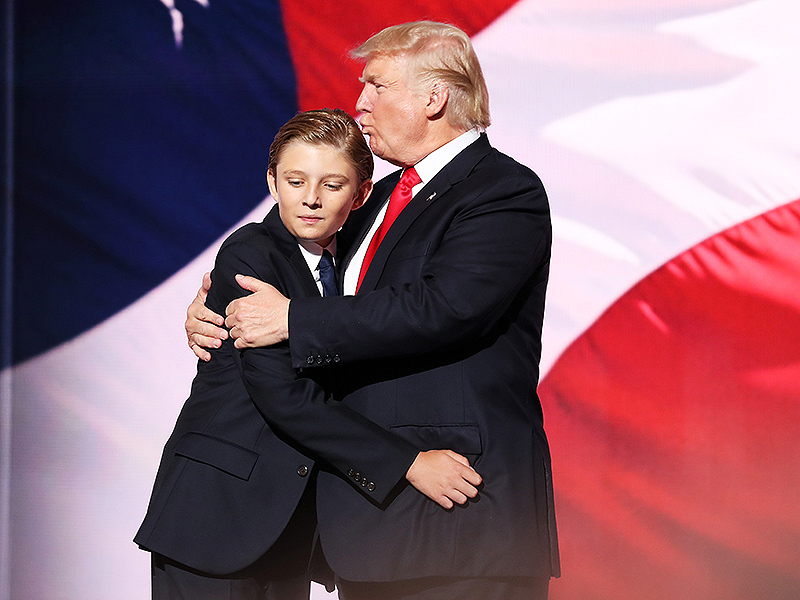 Actually most of us would be absolutely ecstatic if that future President of the United States was to give us a cuddle, I mean, have you seen the kind of hugs that Trump gives? 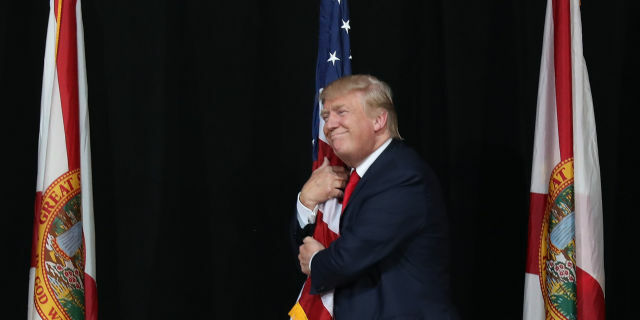 Women love hugging him, men love hugging him, hell, even flag poles love receiving a cuddle from President Trump. While the chance of having the arms of Trump clinging around us is admittedly slim, the same couldn’t be said however for Hillary Clinton. A newly released clip shows the Democrat and former Secretary of State practising for one of her televised debates with Trump ahead of last year’s election. An election in which she suffered a humiliating loss to Trump in the electoral college vote (304 to 228). This was also the same televised debates in which Hillary and her campaign team were emailed questions ahead of time during the primary season. Scandal! There was obviously no such special treatment for President Trump. We guess that’s why Hillary wasn’t busy practising for potential questions in the uploaded video, but was instead messing around with one of her aides in the event that Trump went in for a gracious hug. The questionable moment, filmed last September, shows Clinton grabbing an aide’s hand (portraying Trump) before playfully running away when the aide playing Trump was refusing to give up. The video was Tweeted by her aide Philippe Reines, who said it was a “favourite moment” of his from their debate preparations. It was later retweeted by Hillary herself, who added she “burst out laughing” when she saw the clip again. While the video in question is actually not that funny or amusing at all, the sight of Hillary supporters losing their mind after the results of the presidential election being called out, most certainly are. Let us know in the comments section, who you would rather receive a hug from, Hillary or Trump? Remember, each comment receives a hug from us here at Brainstain (digitally, of course). Politics 304 to 228 Electoral College Vote in US Election, A newly released clip shows the Democrat and former Secretary of State practising for one of her televised debates with Trump ahead of last year’s election., Donald Trump, Donald Trump gives better hugs than Obama, Donald Trump gives the best Hugs, Donald Trump is a Patriot, Donald Trump visit to Saudi Arabia, Epic Hillary Loss, Hilary Clinton did not want to hug Trump during 2016 election, Hillary Clinton, Hillary Clinton collusion with globalist shadow governments, Hillary Clinton collusion with Socialists, Hillary Clinton is a Sore Loser, Hillary Clinton was given debate questions ahead of time unlike Donald Trump, Hillary suffered a humiliating loss to Trump in the electoral college vote, Philippe Reines favorite moment Hillary not going to hug Trump, President Trump is a real winner, sight of Hilary supporters losing their mind after the results of the presidential election being called out is EPIC, The greatest with hunt of a political in American History, There was obviously no such special treatment for President Trump, Trump gives the best hugs, We stand with Trump, who you would rather receive a hug from Hilary or Trump?